Comfort Carpet Clean is not only fully versed in the latest technology and methodology connected to cleaning your carpets but we also offer our clients a full water damage restoration service as well. This is seen as being a specialist service due to the various approaches that must be taken in order to prevent any further damage being caused by the flood water that has got into your home, and we have the expertise to turn things around and get things back to looking as good as new. The problem with water damage in your home is that it can cause extensive damage in a relatively short period of time. The water will not only get into your carpet and potentially ruin it, but there is also a very real risk to the drywall leading to structural issues if it is not addressed quickly enough. Because of this, it is very important to find an expert at water removal to ensure that you can restore your home without risk of mold and mildew growth. 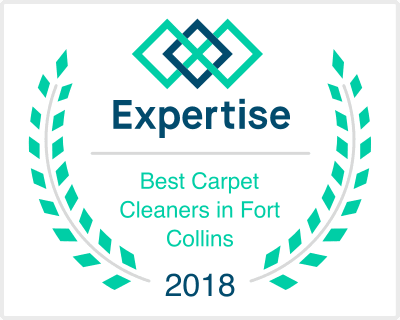 Here at Comfort Carpet Clean, we have gone the extra mile to further our knowledge and to obtain additional equipment that allows us to deal with water damage throughout your home. By quickly dealing with the water that has seeped in, we can work at stopping the spread and start drying out your home as quickly as possible. After all, by tackling things head-on, it does mean that the water has less time to effectively eat away at the structure of your home which, as you can imagine, could lead to substantial damage being caused in a relatively short period of time. However, we go further than merely drying out your home. Thanks to our latest equipment, we can identify hidden pockets of both moisture and humidity that will have a profound impact on your walls or floors. By doing this, we can pinpoint the areas that we need to focus on, so by the time we have left your entire home is perfectly dry. We also know and understand that this is often a very stressful situation which is why we will discuss our approach with you to make sure that you are fully aware of what we are doing and how it will help. By seeing our rapid progress in dealing with the situation, it will begin to ease your fears over the water damage, and our fast response will also work at reducing the costs that will be incurred by you in rectifying the problem. So, if you are indeed unfortunate enough to have suffered from some form of water damage, then rest assured that you are not along in dealing with this situation. Call us now at Comfort Carpet Clean to see how we can help, and take advantage of our experience and expertise at dealing with such an event. You can also contact us via our website, and we will be in touch as soon as possible to discuss your issue and see how we can help.